Feel the love of the arts in February and set your creative side in motion at the Creative Arts Center (334 Patrick Avenue, Stuart). We have several upcoming classes to keep you inspired through the end of winter. 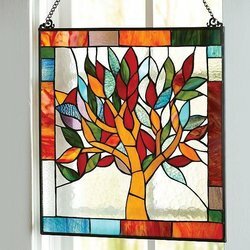 More information is available on our website: https://www.reynoldshomestead.vt.edu/news/creative_arts_center/ Thursdays, beginning February 28th and running through March 27th, 5:30 PM to 8:30 PM "Intermediate Stained Glass: Make a Tiffany-Style Glass Panel" with instructor Lynn Berry at the Creative Arts Center, 334 Patrick Avenue, Stuart, VA. Call 276-694-7181 for more information or to register.